Most people in the Church by now are probably familiar with the hymn that Janice Kapp Perry wrote a couple of months ago to accompany a poem written by President Hinckley. President Hinckley published his poem in the May 1988 Ensign article entitled, “The Empty Tomb Bore Testimony,” but he notes that he penned the words many years previous to that at a friend’s funeral. 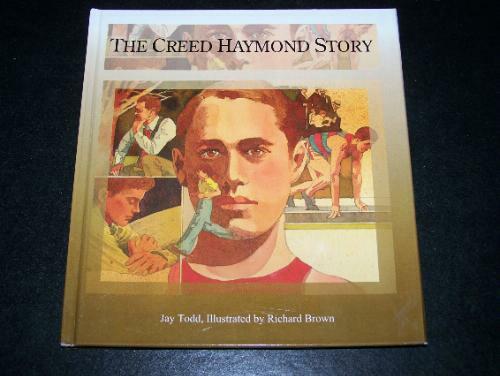 If you’ve received an email about the hymn you might already know the story behind it. If not, head over to Meridian Magazine which has an article posted detailing the creation of this hymn, including links to the sheet music. The circumstances surrounding the production of the hymn are certainly a “tender mercy” of the Lord, as Janice Kapp Perry describes it. She received official approval of the arranged hymn in the mail from President Hinckley the day after his death. 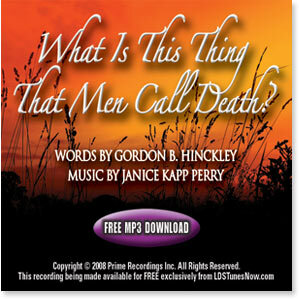 I think this hymn epitomizes the LDS belief and feelings surrounding mortal death. To members of the LDS Church death is nothing to fear, but a passing into and a beginning of a different stage of our existence. It is progression. Death is not the end, but a beginning of greater things! These doctrines and principles could not be taught more clearly and purely than in the Lord’s temples which dot the earth today. President Hinckley was pivotal in nearly tripling the number of these sacred edifices around the world. This quiet passing in the night? Of better worlds and greater light. And calm my troubled, haunting fears. Give strength and peace beyond my tears. The Son of God, the Holy One.